It’s like Black Friday at the end of July. 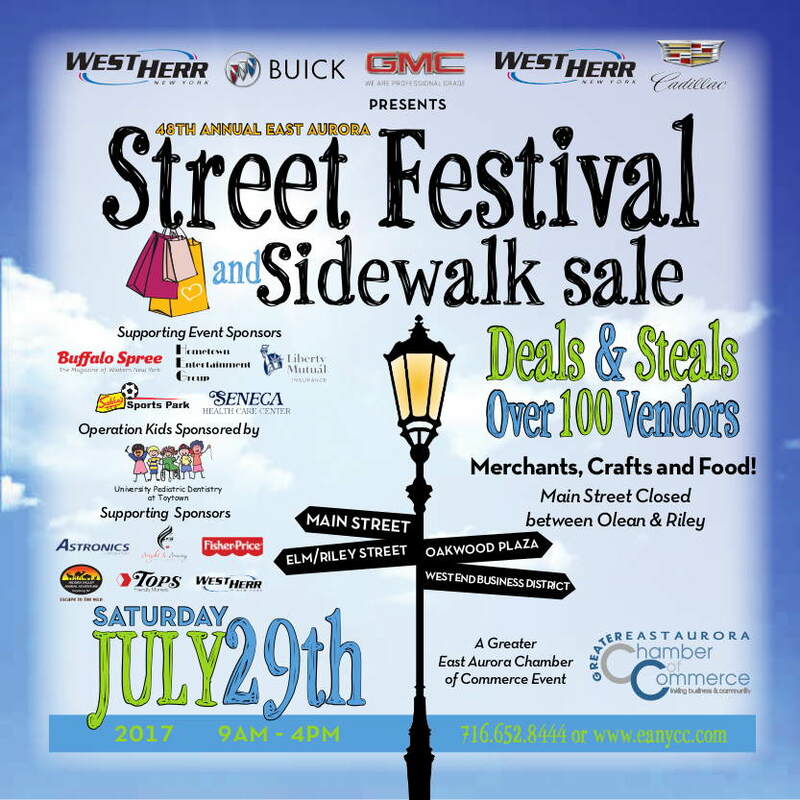 The East Aurora Street Festival & Sidewalk Sale offers incredible sales at participating stores, entertainment, food, and much more. Visit our booth at the Erie County Fair in the Event Center!